Andy Destra is a mostly honest cop in the most notoriously corrupt and crime-ridden city in America: Auction City. After discovering explosive information that reveals corruption within the highest levels of the police department, Andy is kicked off the force, framed, and disgraced, left to wage a lonely one-man crusade against conspiracies he can't prove.Andy's investigation plunges him into a blackly comic maelstrom of one-armed gang members, slick pickpockets, criminal syndicates, hired mercenaries, escaped convicts, sewer dwellers, and one sinister ice cream truck. At the same time, he must contend with a mystery closer to home: the true identity of his parents, his most unshakeable obsession. 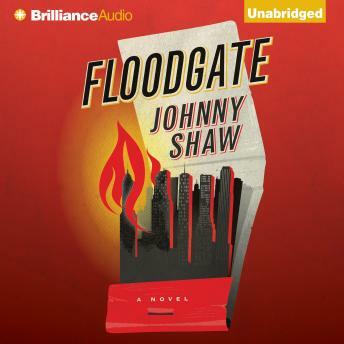 Understanding their past may be the key to Auction City's future as it teeters on the brink of chaos.If Andy can't solve this case, the Floodgate will fail...and his city will burn.